SE trim. EPA 34 MPG Hwy/25 MPG City! Aluminum Wheels, Satellite Radio, CD Player, 201A RAPID SPEC ORDER CODE. READ MORE! Satellite Radio, CD Player, Aluminum Wheels Keyless Entry, Child Safety Locks, Electronic Stability Control, Bucket Seats, 4-Wheel ABS. 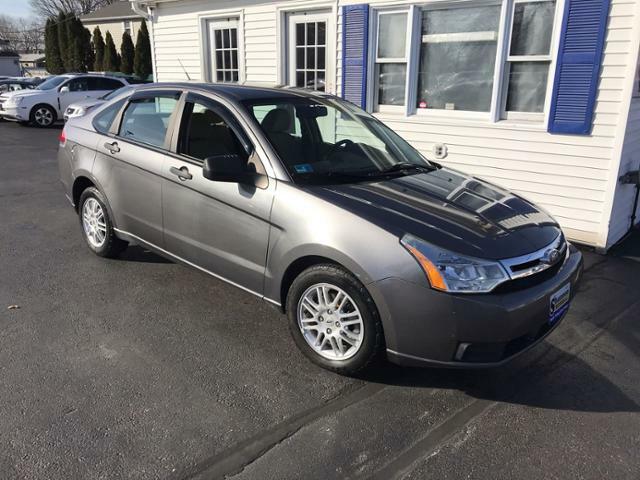 Ford SE with Sterling Grey Metallic exterior and Medium Stone interior features a 4 Cylinder Engine with 140 HP at 6000 RPM*. More Trunk Volume than Mazda3, Mitsubishi Lancer, Nissan Sentra and Subaru Impreza. With over 13 cubic feet of Trunk Volume, the Focus will hold 4 carry-on suitcases. Great Gas Mileage: 34 MPG Hwy. Shannon Motors, a family-owned and operated business, has proudly served the New England community for more than 35 years. 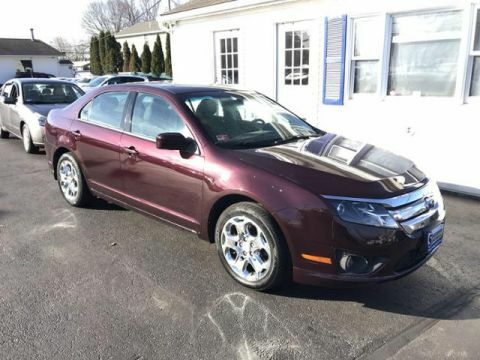 2011 Ford Fusion 4dr Sdn SE FWD Approvals are E-Z! 2007 Toyota Corolla LE Approvals are E-Z! 2006 Honda Accord LX AT Approvals are E-Z!